The ”bed in a bed” has a secure place in domestic care and has proven itself as a practical alternative to the home-care bed. The residential environment is maintained, convenience increases and the practical care is noticeably made easier. 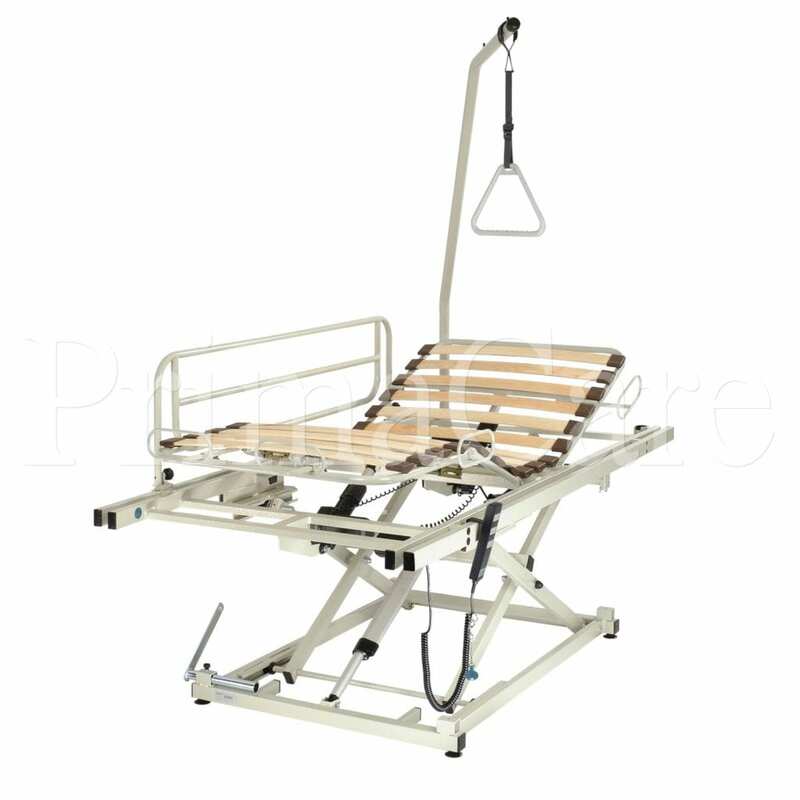 High functionality – individual positioning – four-section lying area with electrically adjustable height, head and foot support; foot part with knee bend is electrically adjustable from the bed by manual control unit without nursing assistance from any position – patent protected! Can be adjusted using mattress holder – 1 model for 4 dimensions!